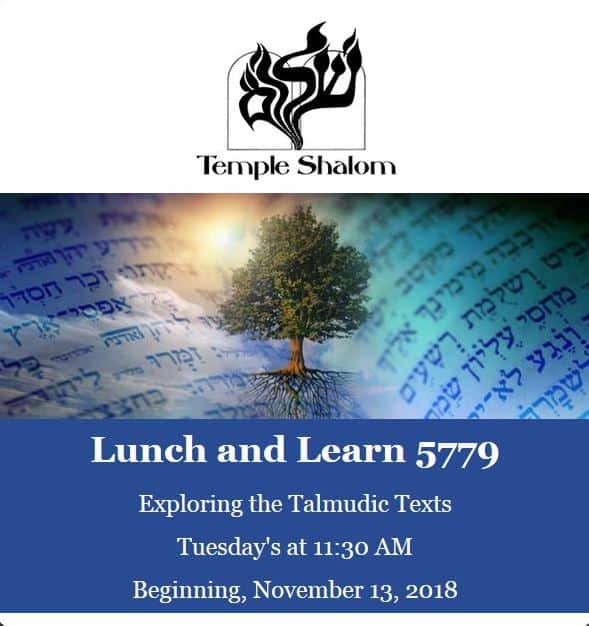 Temple Shalom offers a comprehensive selection of courses focusing on the needs of our congregants. Programs throughout the year, often open to the community, explore both the "how-to" and "why" of Jewish life, the basic building blocks of holidays and customs and the insights, struggles and historic circumstances that gave birth and give power to the rites and rituals of the Jewish people. Join us as we enhance Temple Shalom’s youth and family education, engaging both children and parents as we emphasize Jewish learning and spirituality in an active, dynamic environment. Sukkat Shalom is a unique program that was started by a small, core group of Temple Shalom members to hold facilitated discussions about Israel. We have held facilitated discussions during Kehillat Shalom (adult learning as part of the Religious School) events, study sessions after Yom Kippur services, and small group conversations in members’ homes. Sukkat Shalom came about as an opportunity to provide a safe place for all types of conversations about Israel. With the help of trained moderators, Sukkat Shalom conversations aim to bring an understanding of different viewpoints – the goal is to discuss topics openly without a need to come to a consensus. We recognize support for Israel takes many different forms and understand that many struggle with what supporting Israel means. To listen with care is an act of love. So is the ability to speak what is on our minds and share what is in our hearts. Let’s create something special together: a shared conversation…. whether we agree on our outlooks and our answers, and especially if we do not. Temple Shalom regularly holds Adult Hebrew classes for those interested. There are currently no classes on the schedule. If you are interested in joining the next Adult Hebrew class, please email school@templeshalom.net.